Each of the cards in our Flair collection includes a real enamel pin badge with rose gold coloured plating and non-slip rubber backing. Why not add some flair to your denim jacket, tote bag or favourite t-shirt with these super-cute pins, we think they’d look awesome on you! UPDATE! Our Flair collection has been nominated for a Top Drawer PaperAwards SS17 in the Engaging Print category. 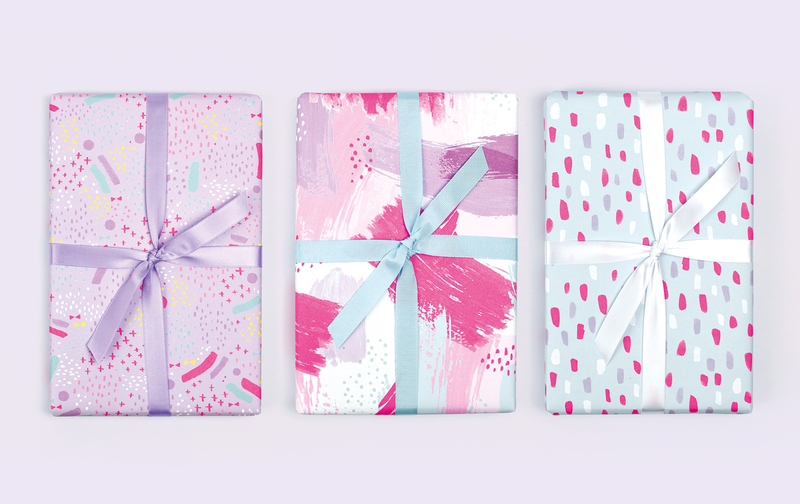 New for 2017, we are excited to launch our first ever range of beautiful gift wrap. Our wrapping paper sheets printed with our signature neon pink ink onto luxury weight 115gsm matte finish stock. UPDATE! Our Hello Neon collection has been nominated for a Top Drawer PaperAwards SS17 in the Exciting Use of Colour category. 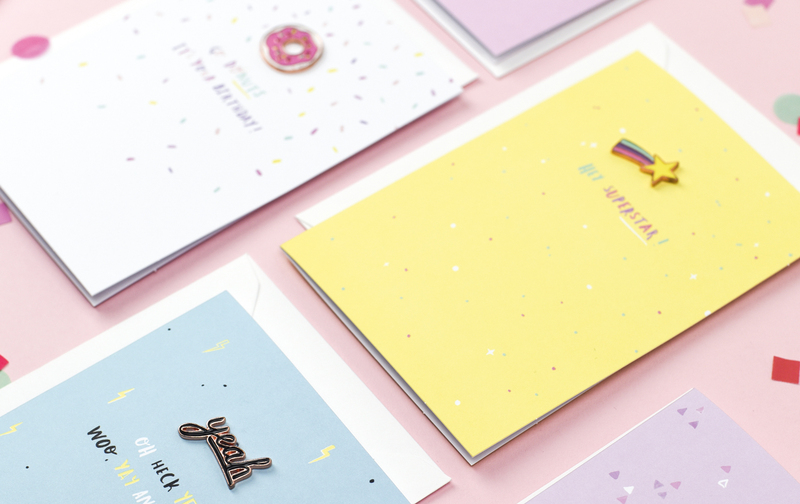 Shine bright with our vibrant and oh-so playful Hello Neon card collection. 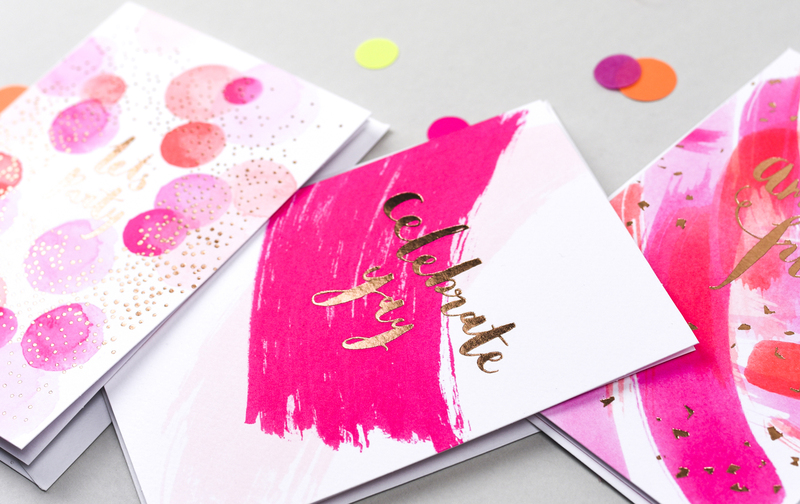 Each card is printed with two vivid, neon inks. 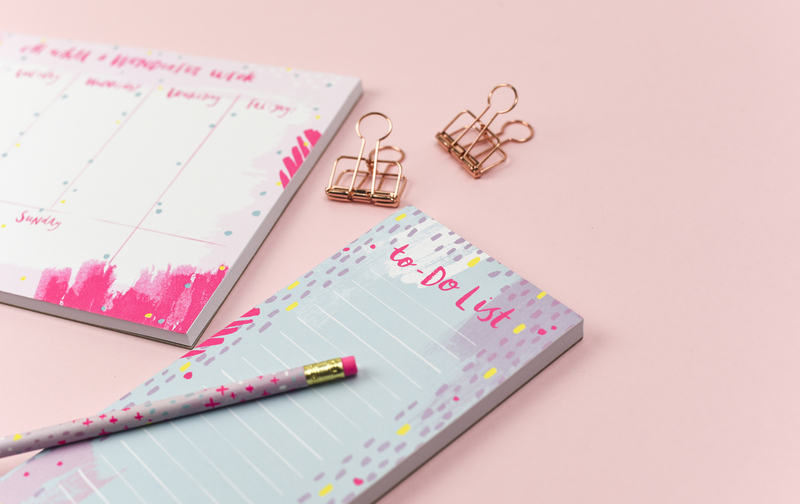 We’re launching luxury notebooks with extra-special heavyweight pages, notepads, weekly planners and pencils all finished with rose gold foil and vibrant neon pink ink.